Come meet the Therapy horses of Loving Thunder Therapeutic Riding. Loving Thunder provides life-changing horsemanship lessons to children, adults, and veterans with disabilities. These horses are amazing and are ready to meet you and your family up close and personal. 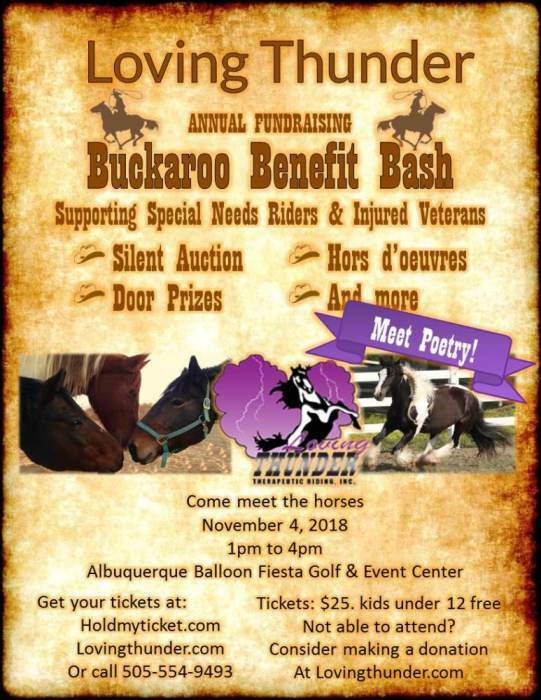 This party raises funds to help provide service to riders who can't afford the service by offering a HUGE silent auction, raffle items, door prizes, and hor devours for your enjoyment. 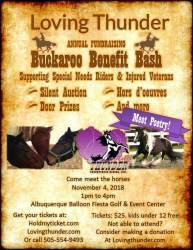 Come to support the riders and horses by sponsoring a table, a rider, a horse, or taking home a great Silent Auction item.